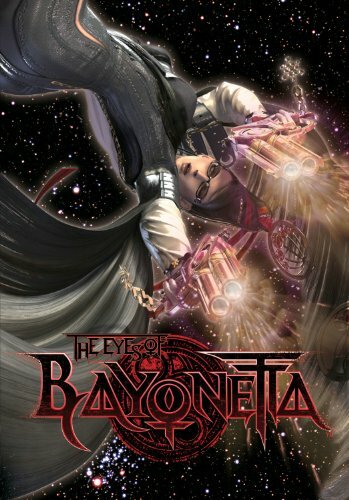 It's great that publisher Udon has translated the original Japanese artbook ベヨネッタ設定資料集 (The Eyes of Bayonetta). The Japanese edition went out of stock pretty quickly and the DVD was region coded to Japan. So what's the difference between the Japanese and English edition? The English edition is a hardcover book and comes with a DVD that's not region coded. Cover art is different. What's missing are the slipcase and the two posters featuring the bosses. The two posters are quite good so it's too bad they weren't included here. Since the book is just a translated edition, the review that follows is largely adapted from the review of the Japanese edition artbook. This is mainly a character design book with designs. You'll see Bayonetta, Jeanne, Enzo, Rodin, Luka, Cereza, Balder and other characters. There are lots of coloured sketches as well as high resolution character graphics, featuring plenty of poses and costumes including many discarded ideas. Costume design is definitely one of the highlights. Notes and artists' scribbles are all translated. The DVD has 73 minutes on the making of Bayonetta. This is one of the rare video game artbooks that come with a making-of DVD so it's a fantastic bonus. Highly recommended to fans of the game and those who like the art style.